Up to last post, we had considered cases with drag with wind and not, and varying ejection angles. And all the simulations were based on the symmetry of FFUs. However, the more actual situation is that I22 does not equal I11. Therefore, in the past days, we took into account the varying I22/I11 ratio. Fig.16 illustrates the changes of look angles with I22/I11 from 0.5 to 1.8. As I22/I11 increases, both the absolute values of maximum and minimum of look angles gradually grow till the ratio of 1.6, afterwards, these values rise fast. 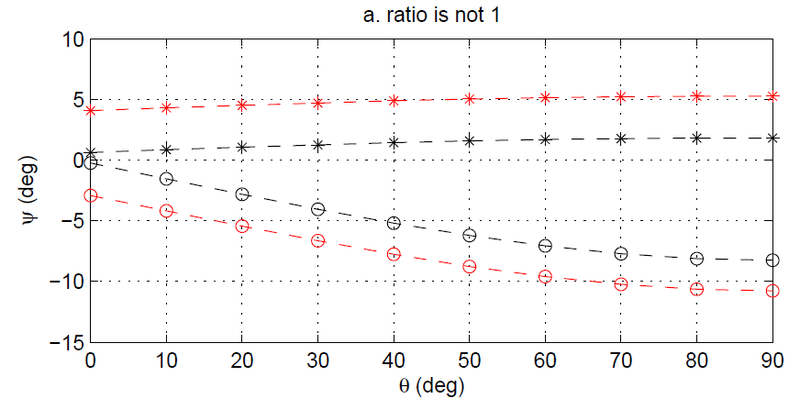 The changes are not larger than 1 degree, compared the maximum and minimum value of look angles Fig.16 with the ones in Fig.15 until I22/I11=1.6. Neverthless, when I22/I11 reaches 1.8, the maximum and minimum of look angles increases several degrees. 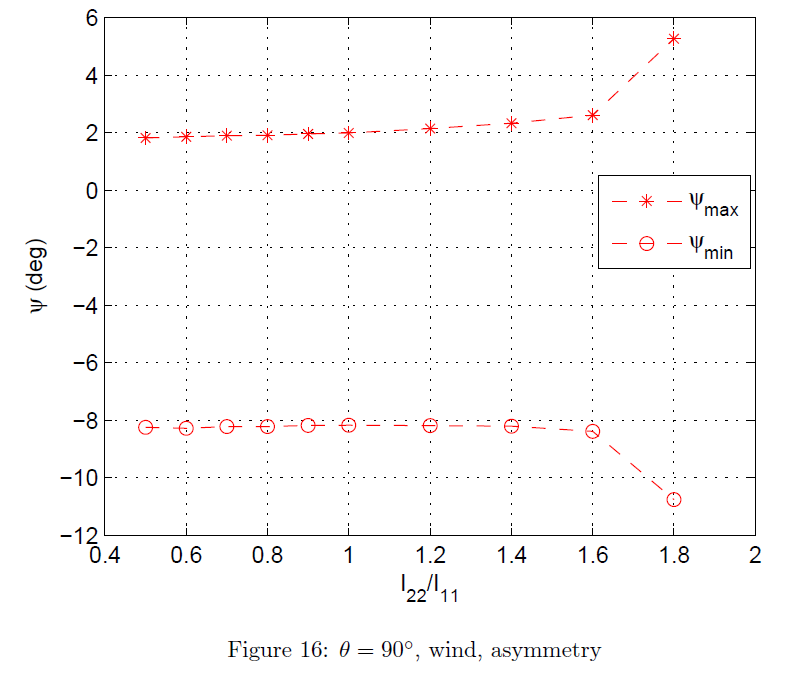 As a consequence, over the interval of I22/I11 between 0.5 and 1.8, the maximum and minimum of look anlges are 5.27 deg and -10.76 deg, respectively, which are obtained when I22/I11 is 1.8. Fig.a shows that look angles vary as ejection angles change when I22/I11 is held. In Fig.a, star and circle represent the maximum and minimum of look angles, respectively. Red and black stand for look angles when I22/I11 equals 1.8 and 0.5, respectively. 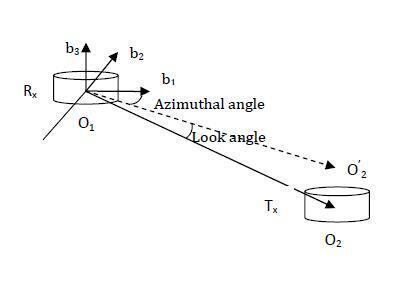 The maxima of look angles grow slowly, in contrast, the minima of look angles reduce gradually, as ejection angles become larger. Okay, right now we have known the situation with asymmetrical geometry. What shall we do next? Next, we are going to consider the case when there is drag torque applied on FFUs. Let us wait for the new results.